Boys are captivated by construction sites, but also by anything on wheels. This entertaining puzzle provides excavator and skateboard, as well as steamroller and bicycle. 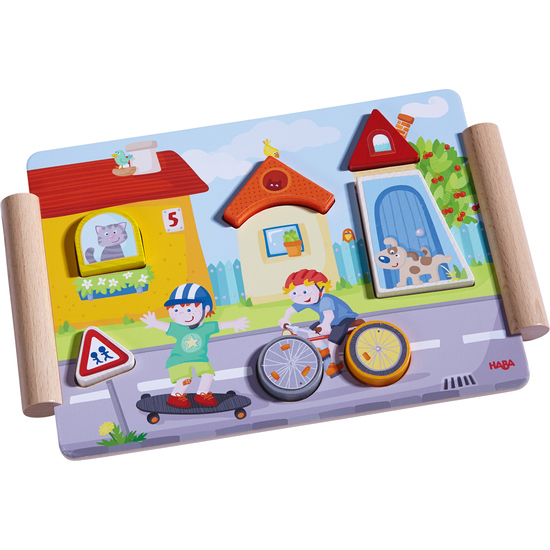 Both sides of the puzzle board and wooden pieces are printed, allowing your child to mix and match construction elements with traffic components, for new and creative puzzle fun.